If brand awareness could only grow on trees, then all business owners would enjoy the benefits of getting new customers day in and day out, but it doesn’t. This is the reason why companies, big and small, work hard to increase awareness for their brand and ultimately, their sales. Put simply, brand awareness is a marketing strategy that lets people know that your product exists. Through it, customers learn about what your business is and what you’re offering. It starts with a good company logo, a business name that resonates with your mission and a memorable tagline. Then you build your brand through effective marketing strategies. You can use social media, print ads, banners, promotional items, and if your budget allows, TV and radio commercials as well. How Can Promotional Items Make Consumers Aware of Your Brand? Promotional items like custom matchbooks and custom coasters are practical, day-to-day things that can be used in homes, cars and offices. How many barbecue grills were lit with matches that bear a company’s name and logo? And since these matches are handsomely designed, some people collect them in empty fishbowls and even ask their family and friends to add to their collection. 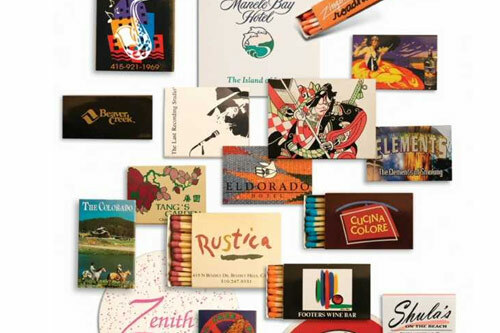 The more they see and use those matchboxes, the more they remember your brand and logo. So, when the time comes that they need a product in your category, you will be on the forefront of their mind. The great thing is, consumers who use your promotional items turn into your very own “free advertisements”. Here’s an example: A consumer loves to drink ice-cold beverages. To protect his office table from wetness and moisture, he uses your custom coaster. Everybody who sees it forms a memory in their minds and remembers you and the product you are offering. Here’s a tip: since promotional items come in a wide variety of types, colors and designs, you might find it very easy to get carried away when choosing for your company. Always keep in mind that your promotional items must jive with the type of products or services you have. Custom matchbooks, for example, may be the best freebies for bars, restaurants and hotels but not in hospitals or drugstores. Business owners don’t have to wait for brand awareness to grow on trees. All they have to do is choose the right promotional materials to improve their chances of success.